I had the honor of meeting U.S RECON Marine Sergeant Rudy Reyes and listening to him share his story about his experience as a former combat diver and now a veteran on a mission to help protect and restore the marine environment. I cannot truly capture in words how profound his story is or the eloquent way he spoke about his life’s journey. Nor, can I begin to fathom the magnitude of the experiences he has been through and endured as a combat diver. All I can humbly offer is that listening to him speak with such humility, eloquence and passion I was incredibly moved by his words and a part of me was changed forever by his heartfelt story. 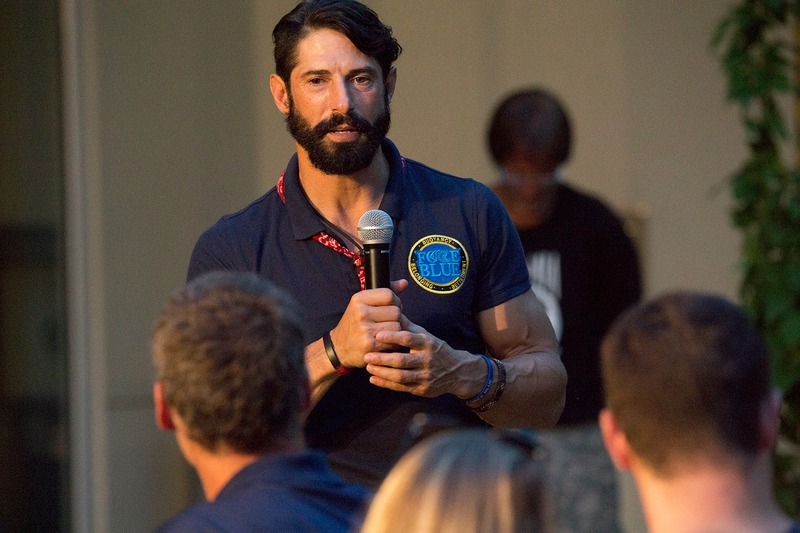 His life’s journey has lead him to a new call of duty, dedicating his life’s work to empowering other Special Ops veterans to join FORCE BLUE’s conservation efforts to help restore critical marine ecosystems around the world. While on his first trip to the Cayman Islands two years ago, diving off the shore of Sunset House with friends Jim Ritterhoff and Keith Sahm, something remarkable happened. The former combat diver found healing and a sense of peace while being in the ocean as a recreational diver. It revived his human spirt. It was then, FORCE BLUE was formed. That trip gave him a new purpose in life and a new mission to carry out. It was a monumental moment. It ignited a passion within him to dedicate his commitment to a life of service to ocean conservation to help heal the ocean and to help other Special Ops veterans to find healing as he did. Rudy is now an advocate for ocean conservation and a cofounder of FORCE BLUE, along with Jim Ritterhoff and Keith Sahm. Together, they are working to change the lives of veterans and work towards the betterment of our environment through ocean conservation. 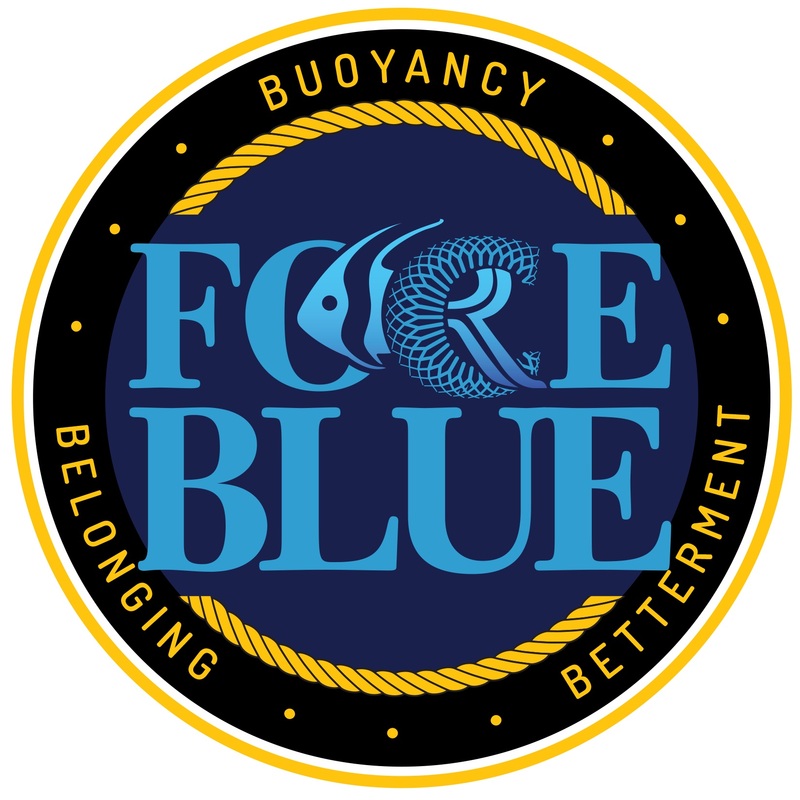 Rudy, along with six other team members of FORCE BLUE’s Team One, embarked on the first deployment in the Cayman Islands. It brought forth a remarkable experience that brought back meaning and purpose into the lives of these humble and inspiring veterans. FORCE BLUE Team One, includes seven combat diver veterans from around the world: Rudy Reyes, U.S. Air Force Silver Star recipient Roger Sparks, U.S. Navy SEAL Lt. Geoff Reeves, U.S. Marine Will Hinkson, U.S. Army Green Beret Sean Moore, British Royal Marine Commando Jon Slayer and former U.S. Military combat medic Nathan Quinn. They set out on FORCE BLUE’s first ever deployment to aid in helping with the coral reef conservation efforts in the Cayman Islands. It was an unprecedented event, training veteran combat divers to recalibrate their skill set for ocean conservation. 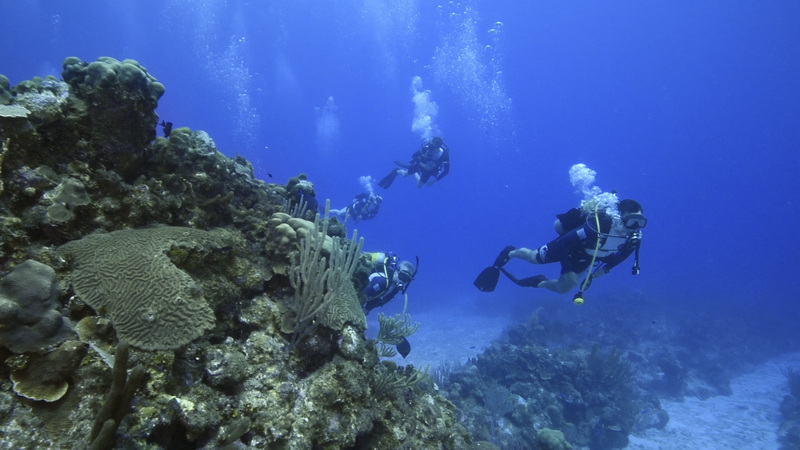 The training and work with coral reefs took place over the course of two weeks in the Cayman Islands. Their mission to help protect and restore coral reefs gave them purpose which is fundamental to their way of life. Being mission driven is the commonality between them that brings them together. This honorable endeavor was an experience that not only taught them about conservation but lead them to learn something about themselves. It gave them an opportunity to go through a transformative journey of rebuilding their lives, self-recovery, finding a new brotherhood, being part of a team once again and being part of something that was much bigger than themselves. They are a new voice for ocean conservation. As they applied the knowledge they acquired during more than 130 total hours of classroom training and learning about preserving coral reefs it allowed them to see the positive impact they were creating. 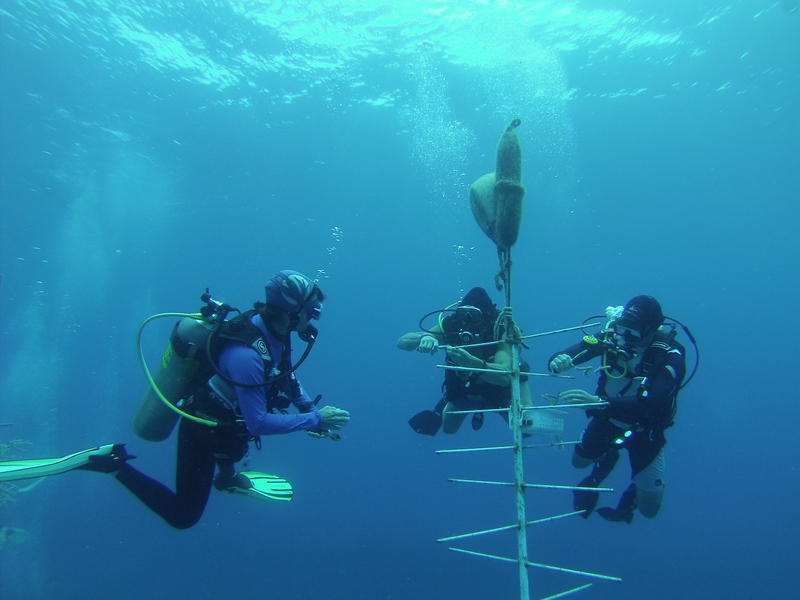 In particular, working with Cayman’s Coral Nursery Recovery Program and out-planting viable coral fragments onto damaged coral reefs showed them first hand that they were making a difference to better the environment. For these seven veteran combat divers, their undeniable desire and dedication to a life of service has transitioned into a new cause, one of hope and healing for both the ocean and veterans. This experience gave them a sense of belonging and togetherness once again. These veterans were able to find a place in society where they could continue to have a mission oriented lifestyle. Their motto is, “One team. One fight.” A mantra that is the epitome of what the experience brought forth, the uniting of these veterans together as a new brotherhood and family, as they fight to save the oceans’s ecosystem. A strength of togetherness extended beyond that. A united force was built amongst the special operations community, the scientific community and the environmental community as they unified as one team working on a common goal, preservation of coral reefs and ocean conservation. 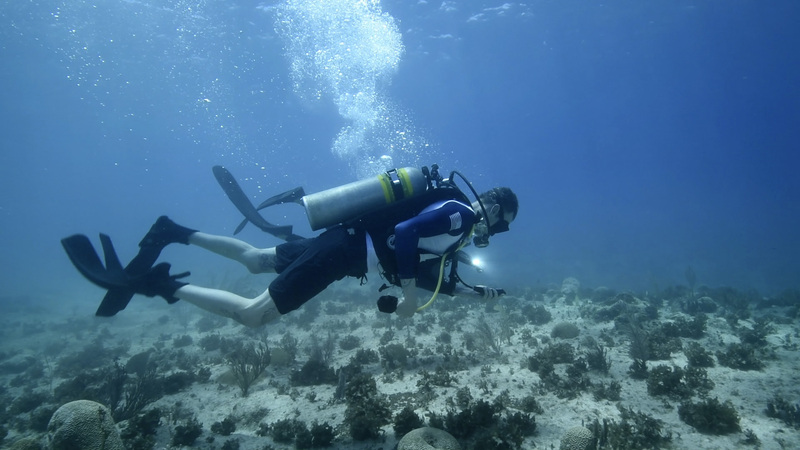 During the time they engaged in diving and exploring the wonderment of the ocean and coral reefs they found themselves forming a deeper connection to nature. Being surrounded by the vast beauty of the ocean they discovered how truly interconnected we all are to the ocean and our dependency on this fragile life-support system. As they engrossed themselves in restoring coral reefs it taught them to have a new perspective on life. They learned how to rebuild themselves and their human spirit. The powerful experience of their journey lead them to find healing through ocean conservation and ultimately the healing that came from finding mercy, love and grace. The revolutionizing experience awakened something within each of them. It helped to fill a void. It brought forth new meaning into their lives as their work allowed them to contribute to the greater good. It inspired them to become advocates for saving the ocean as well as helping to improve the lives of veterans. A strong commonality uniting the brotherhood of FORCE BLUE’s Team One is their honorable dedication to a life of service and their unequivocal need to continue serving. The veteran combat divers who serve on FORCE BLUE Team One continue their noble commitment to a life a service for the greater good. Being mission driven is often how they find value in their lives. Their new call to duty, ocean conservation, is a noble pursuit for the betterment of the environment and to help transform the lives of veterans. It is also a call to action to encourage other Special Ops veterans to join them in the fight to save the world’s oceans. The memorial service held off the shore of Sunset House, Cayman Islands, was a dedication to veterans. A powerful, poignant and moving experience for those who were there. It was a moment of remembrance and reflection. The FORCE BLUE team along with other veterans and those who have lost loved ones came together on a forty minute dive. 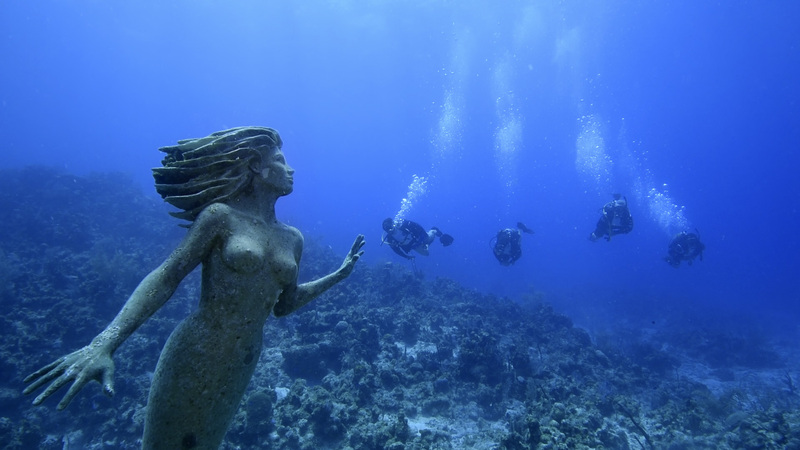 A remarkable moment occurred during the memorial, a tear never before seen on the mermaid statue poetically appeared that day. An incredibly touching and moving moment that words could not capture. 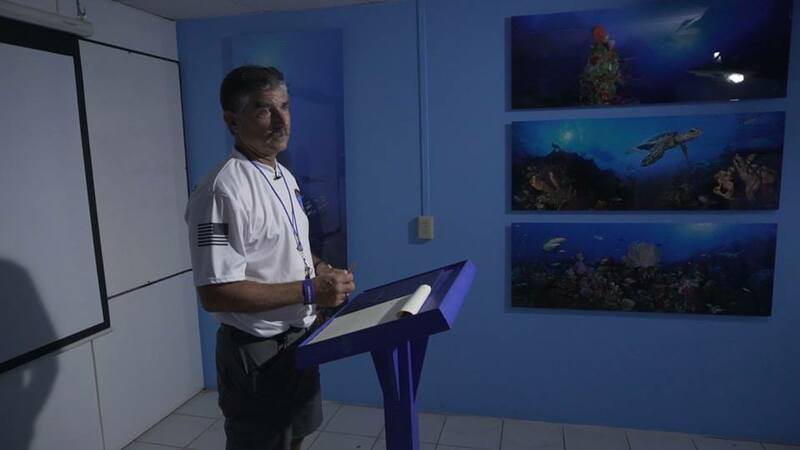 Later that evening, FORCE BLUE’s Team One of seven veteran combat divers had a graduation ceremony commemorating their successful training program and coral reef conservation mission. Each veteran shared their experience as FORCE BLUE’s first deployment team and what working on coral conservation meant to them. Wallace J. Nicholas, author of Blue Mind was the keynote speaker. He gave an inspiring speech. A notable moment, was the handing out of blue marbles. Everyone in attendance received a blue marble. Attendees were asked to introduce themselves to someone they had not met before and simply share a memory tied to the ocean and then exchange blue marbles. The significance of the blue marble as Nicholas describes is, that the blue marble is symbolic of this planet we all call home, and the ocean that connects us all. I was deeply honored to have met the veterans that made FORCE BLUE’s Team One. I am incredibly proud of their tenacity to fight to save our coral reefs and share their experience to help transform the lives of other veterans. Please visit their website to learn more about FORCE BLUE or to make a donation towards their honorable cause.